Happy October everyone! Over on the Watchers on the Wall site, I have a new feature that hopefully is in sync thematically with this spooky, Halloween-focused month. 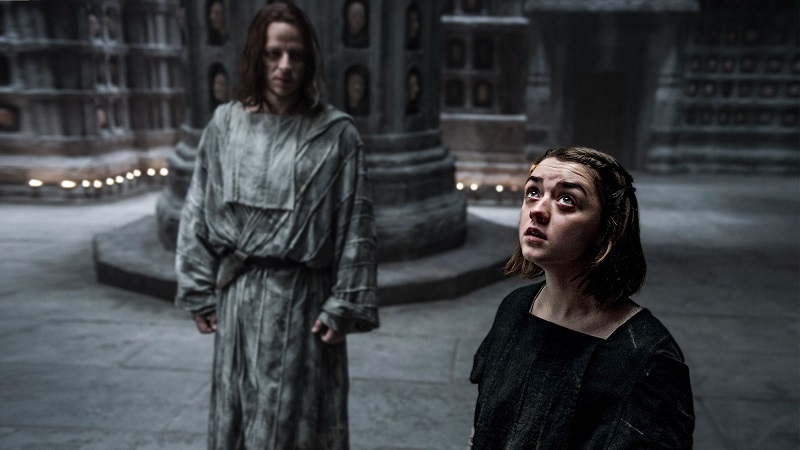 My feature talks about haunted Harrenhal and the blood-soaked bargain forged between Arya Stark and the mysterious and mercurial Jaqen H’ghar. One of those two was getting in over their head – and I suggest that the one out of their depth wasn’t Arya. Don’t be shy about leaving me a comment, we have a long time to wait until Season Eight finally arrives, and we may as well make hay and chat about what might happen, until it all comes to an end. If you liked this article, thank you! I have all of my Game of Thrones related articles on my handy-dandy Game of Thrones page should you want to read more but don’t want to navigate around my site. Hey, Patrick, I have a question. Since I have read only A game of thrones and haven’t watched GoT at all, can you tell me without giving any spoilers why dragonstone is so important even though it is so small compared to Westeros? It’s important in a couple of ways. It’s the ancestral citadel of the Targaryens, their home for years and years after the destruction of Valyria and until Aegon the Conqueror left Dragonstone with his dragons (and army) and made his initial camp where King’s Landing would one day be built. So it’s symbolically important. Also, it’s a huge castle situated at the mouth of Blackwater Bay, so whomever controls the castle (and has a fleet) can blockade the bay and threaten King’s Landing from the water. So it is strategically important. Thanks! I hope Daenerys captyres it someday! Fire and Blood! House Targaryen! Though I actually love the Lannisters, Targaryens are not far behind!